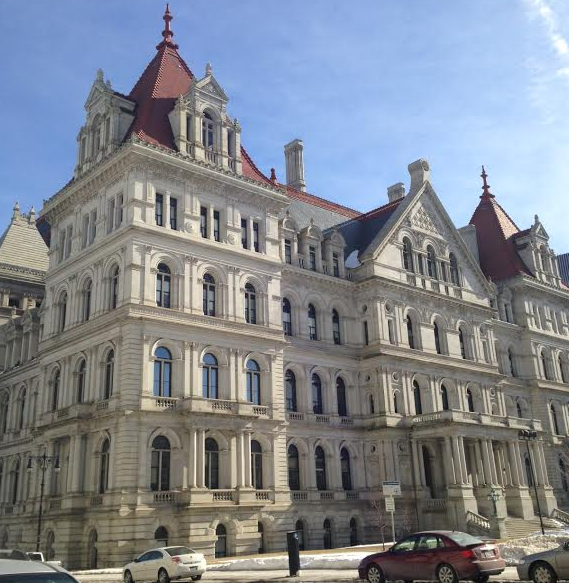 Sponsors of a bill to create a single payer health care system in New York have offered a revised measure, but its future is uncertain. Governor Andrew Cuomo says the state might not be able to afford it. Assembly sponsor Richard Gottfried, who has championed the issue of single payer for several years, says the bill, known as the New York Health Act, has now been amended to include coverage for long-term health care, including home health aides and nursing homes. He says the addition, among other things, will benefit women, who lose income under the present system. “It often means that a family member, in our culture, usually a woman, gives up a career, income, a large part of her life to care for a family member,” Gottfried said. “That is not morally or socially acceptable. The New York Health Act would put an end to that." Although the measure has been approved several times in the Assembly, it stalled in the Senate, where until this year, Republicans controlled the chamber. Democrats now hold the majority, and Senate sponsor Gustavo Rivera says hearings on the measure will be held this spring. But Rivera says he does not expect the bill, which has fiscal implications, to be part of the state budget package that’s due April 1. He says that’s not necessarily a sign that the measure lacks enough support. A Rand Corporation study in August 2018 found that total health care spending would be slightly lower under the plan, but it would require $139 billion in additional state revenue to make the transition. And it said that employers would ultimately pay less money under a payroll tax in the measure than they currently pay to health insurance companies for premiums. Business groups disagree, and say the costs are closer to $250 billion. A coalition formed to oppose the measure, called Realities of Single Payer, calls it a “quarter of a trillion dollar boondoggle," and “malpractice” by lawmakers. Michael Kracker is with Unshackle Upstate, which is part of the coalition. Kracker, says in addition, around 150,000 New Yorkers employed in the health insurance industry would lose their jobs. He says business leaders are not completely happy with the current system, but he says it’s better to work with the existing structure, that includes health exchanges under the federal Affordable Care Act, than to make big changes. He says he backs a plan by Governor Cuomo, a Democrat, to create a commission to figure out how to provide coverage to the five percent of New Yorkers who currently lack insurance. “That’s a common sense approach,” Kracker said. Assemblyman Gottfried says the business groups’ predictions of increased expenses are exaggerated. “No thoughtful observer who has studied this topic agrees with those wacky numbers,” Gottfried said. "They just make them up." He says similar concerns were expressed in the 1960s, when the federal government initiated Medicare for older Americans. He says it is now a universally valued program. Governor Cuomo, asked about the measure in an unrelated news conference, says he doesn’t think the state can afford to enact single-payer all by itself. Cuomo says the Rand report indicates that the state budget would have to be “doubled” in size to implement single-payer. He says that’s even more of an obstacle now that the state has a $2.3 billion budget deficit. New York state stands to lose nearly $1 billion if President Trump follows through with his threat to “let Obamacare fail” and cut key health care subsidies under the Affordable Care Act. The Alliance for Retired Americans is a National organization in 33 States assisting 4 million members working to advance social and economic justice by mobilizing retirees and their families. Andrew Coates: Why Are They All Saying "Single Payer?" Last week we saw a domestic national news cycle dominated by the "glitches" that derailed the launch of the web-based exchanges where uninsured American people and their small business employers can shop for private health insurance. This week, as stories about private health insurance continue to dominate the headlines, the term "single payer" has bobbed up with increasing frequency.